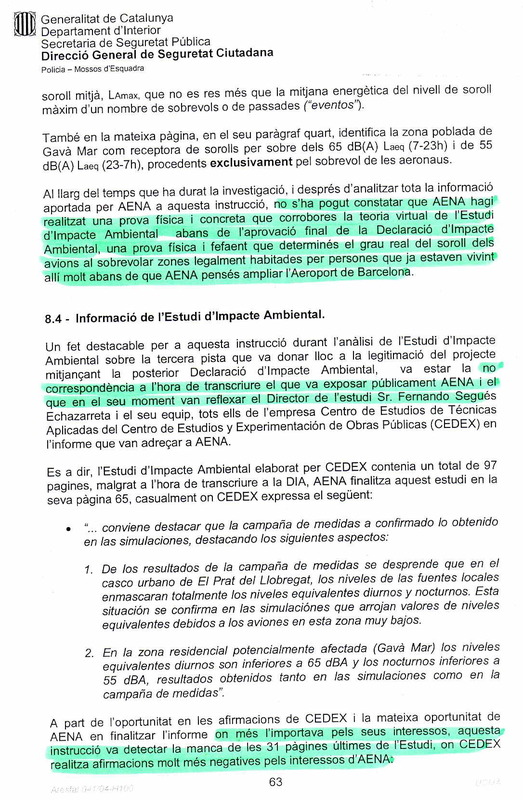 On November 20th, 2004, the Catalan TV channel 'TV3' informed that the District Attorney of the Environment had instituted proceedings on its own initiative to investigate whether AENA was committing a constant noise pollution crime against public health. 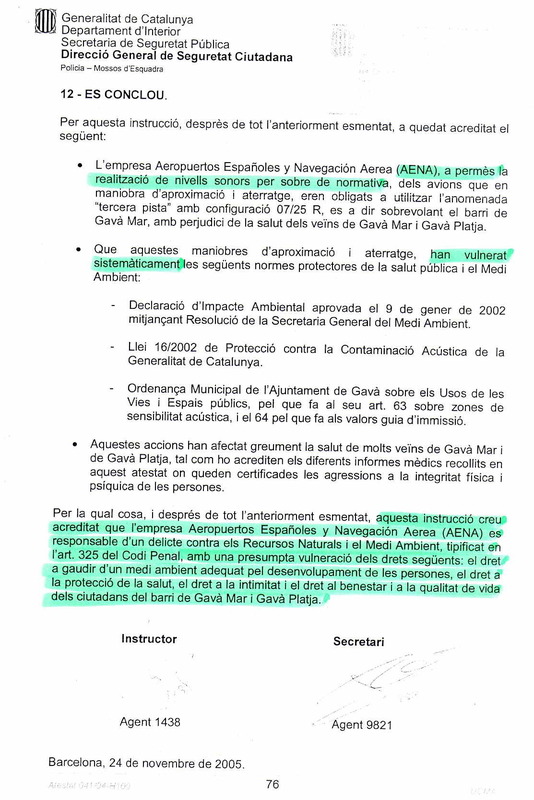 It is proved that AENA is responsible for a crime against natural resources and the environment, a crime which is defined in article 325 of the penal code, with a presumed violation of the following rights: the right to enjoy an adequate environment for the development of the people, the right to the protection of health, the right to intimacy and the right to well being and to a quality life for the citizens of Gavà Mar. 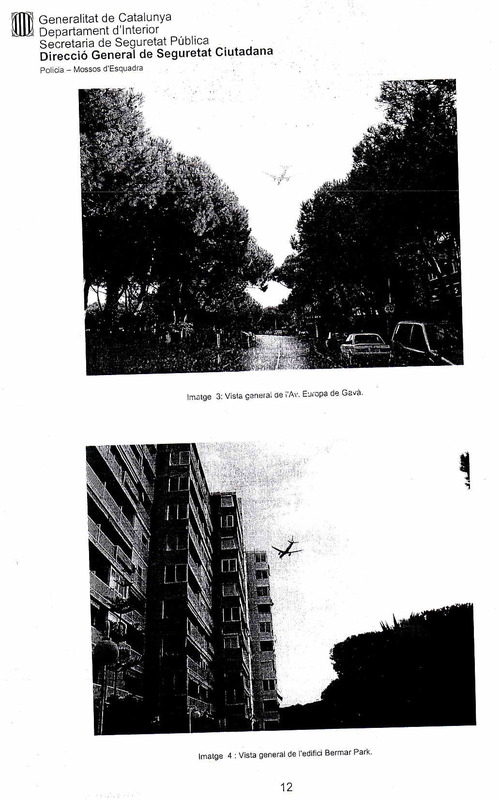 - Pictures of planes approaching before landing on the third runway. - The police has carried out acoustic measurements and the results obtained do not agree with the information provided by AENA. 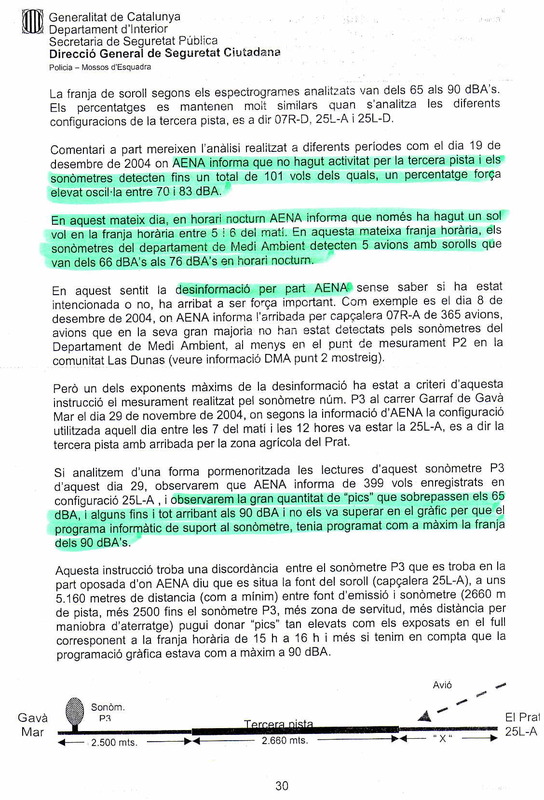 The Environmental Impact Report ('EIA') was supposed to be transcribed in the Environmental Impact Declaration ('DIA') but AENA removed the last 31 pages of the 97-page report. 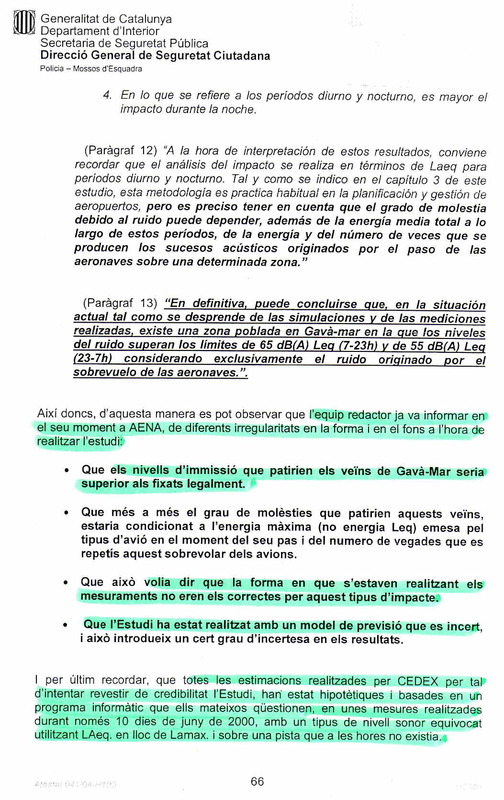 This last part clearly warned about the consequences the construction of the third runway would have for Gavà Mar. 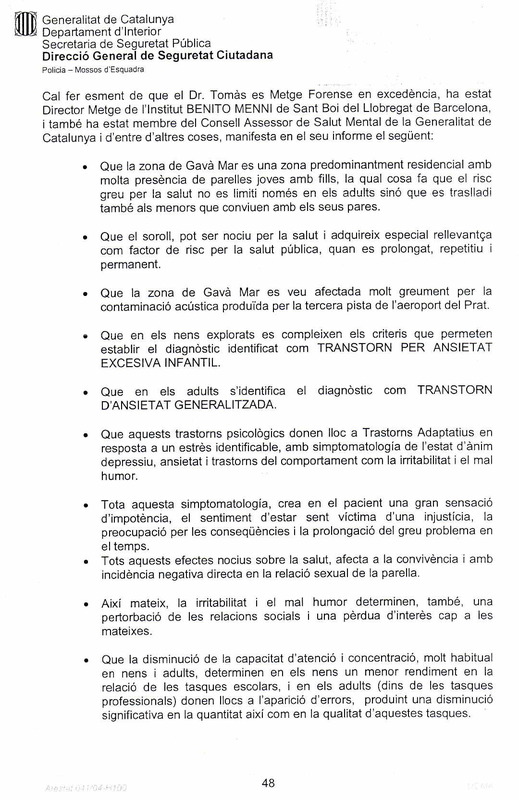 During a visit to Gavà and Castelldefels, the President of the 'Generalitat de Catalunya', Pasqual Maragall, has stated, "I promise to reduce the social cost and the disturbances caused by the airport, we're working for it. Obviously we need an international airport yet we also need an authority to answer all the questions concerning its management, including the aspects that affect the quality of life of the people living in its surroundings". Referring to AENA, he said, "The management sensibility has left a lot to be desired". In order to do so, they want to stop the project of the biological corridor, which is planned for the El Prat coast and would take up to 90 hectares between the Remolar and Ricarda lagoons, and the third runway and the sea.